I got to make my very first doll cake!! 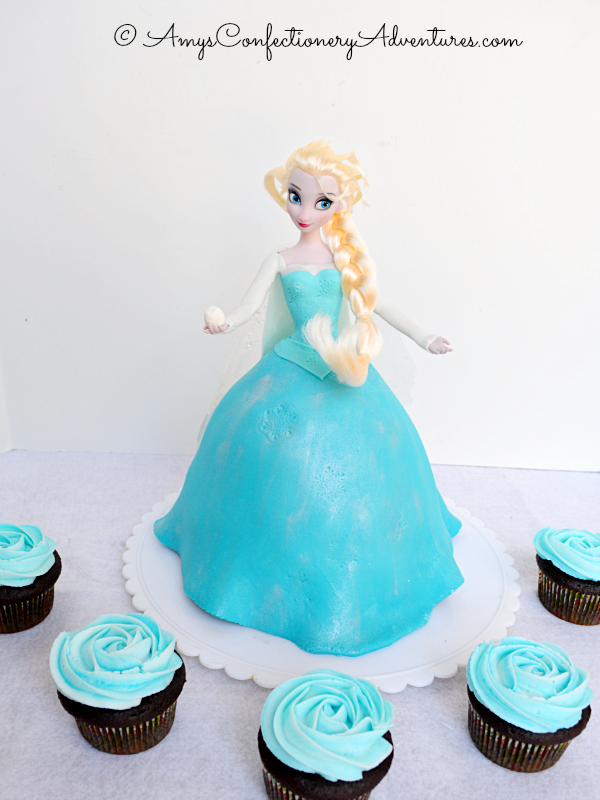 Lucky for me, my friend’s daughter requested an Elsa doll cake for her 4th birthday! After spontaneously breaking out in “Let It Go” over the course of a week, it was time to get to work. 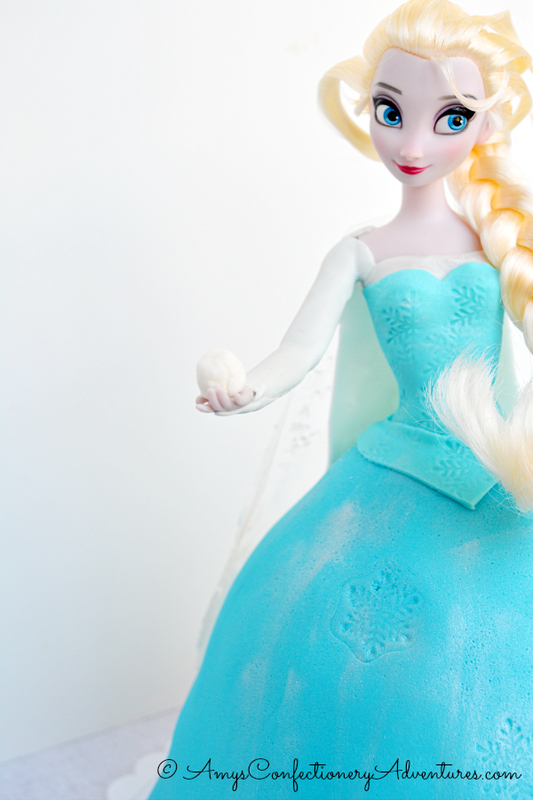 Here are a few Elsa process shots, as she gets a fondant mini dress and then a lovely Rich Chocolate Cake skirt.